Certain types of driverless vehicles may not be safe, peers have warned. Over-reliance on technology could mean drivers react slowly to taking back control of a semi-autonomous vehicle in an emergency, they said. However, the Lords Science and Technology Committee noted that some technology could reduce accidents caused by human error. The Department for Transport said driverless cars "have the potential to transform the way we travel." Vehicles can be split into different levels of automation, according to industry body the Society of Motor Manufacturers and Traders (SMMT). Level 0 is a vehicle with no automation, while level 5 is fully automated. There is a "very dangerous" problem that lies with vehicles on the midway point of this scale, peers on the Lords Science and Technology Committee said. Vehicles at level 3 still need a driver, but can shift critical operations to the car, and back again. The risk that the vehicle may need to hand back control to an unprepared driver in an emergency may be "too great to tolerate", the Lords Science and Technology Committee said. Aerial, marine, public transport, including metro and rail services, space, military, warehousing, ambulance services, inspection and monitoring of resources, working in dangerous and hazardous environments (such as nuclear facilities) and the delivery of humanitarian supplies. CAV could lead to changes in how farming is carried out in the UK, with the benefit of making the crop production system significantly more efficient. For example a vehicle that can "see" and apply herbicide to just the weeds and not to the crop. Lorry platooning - where one HGV leads and makes the decisions for those behind that are wirelessly connected to form a road-train. The European Commission-funded Safe Road Trains for the Environment (SARTRE) has already trialled platooning on three motorway routes in northern Europe. But - automation might lead to the loss of many jobs in the transportation sector, notably in low-wage positions such as taxi and bus drivers. Professor Neville Stanton of the University of Southampton told the committee: "As vehicles become fully autonomous, even the most observant human driver's attention will begin to wane. "Their mind will wander… This is particularly true if they are engaging in other activities such as reading, answering emails, engaged in conversations with passengers, watching movies or surfing the internet." In general, research suggested drivers of automated vehicles were not as effective at dealing with emergencies as drivers of manual cars. For example, they had been found to take six times longer to respond to emergency braking by other vehicles. Complacency could also negatively affect other road users, such as pedestrians and cyclists, the Lords committee said. 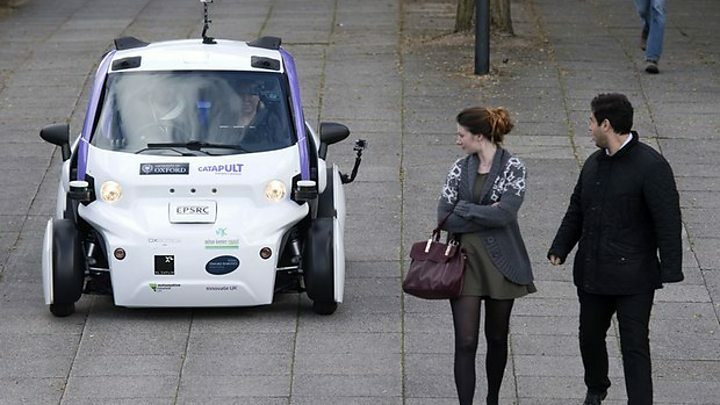 The government should give priority to research into people's behaviour around autonomous vehicles, it added. The Department for Transport said: "Automated vehicles could make our roads even safer and easier to use, as well as promising new mobility for those who cannot drive. "We have committed over £200m to research and development and are also changing regulations to unblock barriers to this exciting new technology." Tamzen Isacsson, SMMT director of communications, added: "Connected and autonomous cars will transform Britain's roads, dramatically increasing safety and reducing up to 25,000 serious accidents each year. "The UK automotive industry is leading the way in developing the cars of the future which will provide further benefits to society, creating over 300,000 jobs and adding more than £50 billion to our economy."